Graduated from Siddhartha medical college, Vijayawada in 1988 with bachelors degree in medicine (MBBS). 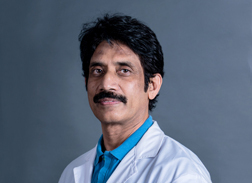 Post graduated from J.J.M.medical college, davangere in 1991 with masters in general surgery (MS). Specalization in cardio thoracic surgery in JIPMER, Pondicherry in 1994.